Stakeholders are invited to engage in an interactive workshop focused on the U.S. Environmental Protection Agency’s (EPA) implementation of requirements for new chemical review under the Frank R. Lautenberg Chemical Safety for the 21st Century Act, also known as the amended Toxic Substances Control Act (TSCA). The workshop will include an overview of the new chemical review process, a detailed discussion on current challenges the U.S. Environmental Protection Agency (EPA) and new chemical innovators face under TSCA and their associated commercial and market impacts, tips premanufacture notice (PMN) submitters should consider to ensure an efficient and surprise-free new chemical review, and a lively discussion on ideas to minimize review time. Regulatory and Hazard Communication professionals looking to obtain a deeper understanding and practical know-how in TSCA and the PMN preparation process. 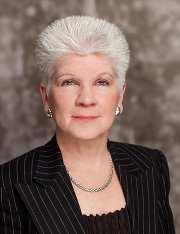 Lynn L. Bergeson is the Owner and Managing Partner of Bergeson & Campbell, P.C. (B&C®), Ms Bergeson has earned an international reputation for her deep and expansive understanding of the Toxic Substances Control Act (TSCA), the Federal Insecticide, Fungicide, and Rodenticide Act (FIFRA), the European Union's (EU) Registration, Evaluation, Authorization and Restriction of Chemicals (REACH) regulation, and especially how these regulatory programs pertain to nanotechnology, industrial biotechnology, synthetic biology, and other emerging transformative technologies. 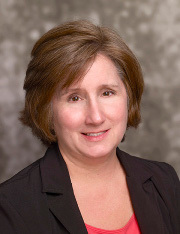 Her knowledge of and involvement in the policy process allows her to develop client-focused strategies whether advocating before Congress, the U.S. Environmental Protection Agency (EPA), the U.S. Food and Drug Administration (FDA), or other governance and standard-setting bodies. Ms. Bergeson counsels corporations, trade associations, and business consortia on a wide range of issues pertaining to chemical hazard, exposure and risk assessment, risk communication, minimizing legal liability, and evolving regulatory and policy matters pertinent to conventional, biobased, and nanoscale chemicals, particularly with respect to TSCA, FIFRA, Food Quality Protection Act (FQPA), REACH and REACH-like programs, and U.S. Occupational Safety and Health Administration (OSHA) matters. Richard E. Engler is the Director of Chemistry at Bergeson & Campbell P.C. (B&C®). Dr. Engler is a 17-year veteran of the U.S. Environmental Protection Agency (EPA) and is one of the most widely recognized experts in the field of green chemistry, having served as senior staff scientist in EPA's Office of Pollution Prevention and Toxics (OPPT) and leader of EPA's Green Chemistry Program. 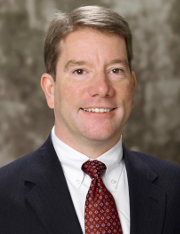 He has participated in thousands of Toxic Substances Control Act (TSCA) substance reviews at EPA, as well as pre-notice and post-review meetings with submitters to resolve complex or difficult cases, and he draws upon this invaluable experience to assist B&C clients as they develop and commercialize novel chemistries.